What a dispute. 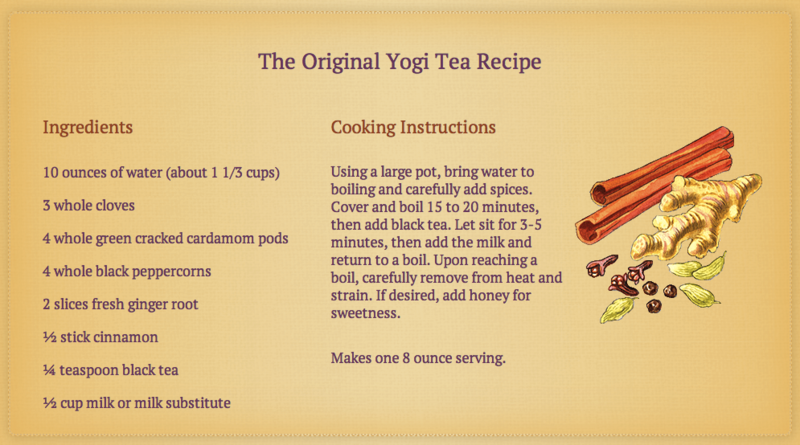 I’ve written before (recursive link) about the dispute over the ownership of the mark YOGI for at least tea. I say “at least” because what seems to be missing from the four (or more) lawsuits that involve the trademark is the concept that a trademark has something to do with goods and services or source identification. Here is the highly simplified story, taken from a number of court opinions. Harbhajan Singh Khalsa Yogiji, known as Yogi Bhajan, was the spiritual and religious leader of the Sikh religion in the United States. He was married to Inderjit Kaur Puri, known as Bibiji. When Yogi Bhajan died in 2004, the assets of his living trust were split between the Survivor’s Trust, for the benefit of Bibiji, and the Administrative Trust, for the benefit of 15 individuals who had been Yogi Bhajan’s assistants. Golden Temple of Oregon, LLC had been a licensee of the Living Trust for the name and likeness of Yogi Bhajan on cereals, tea and body care products. When Yogi Bhajan died, the bookkeeper instructed Golden Temple to split the royalty payments between the Survivor Trust and the Administrative Trust. In 2008, Golden Temple stopped using Yogi Bhajan’s name and likeness and stopped paying royalties, but continued to use the names “Yogi” and “Yogi Tea.” Bibiji entered into an arbitration with Golden Temple to decide if there was a trademark in “Yogi” and, if so, who owned the trademark. Bibiji suggested to the Administrative Trust that it participate but the Trustees declined, “seemingly in part because they thought that the term ‘Yogi’ was a generic term rather than a trademark and in part because they did not feel the Administrative Trust had the funds to take on any more litigation.” The arbitration panel held that there were trademarks and, as between Golden Temple and Bibiji, Bibiji owned them. The arbitration panel awarded the trademark registrations and applications to Bibiji (Bibiji by now had revoked the Survivor Trust). The arbitration decision specifically did not decide the relative rights of Bibiji and the Administrative Trust with respect to the use of YOGI. Then things start to get interesting. The Administrative Trust granted Golden Temple a license* to the trademarks. The Trustees were apparently concerned that the trademarks would be abandoned if they weren’t used (“The Trustees agreed to accept the lower royalty rate because there was concern about Golden Temple having a deadline to its use of the trademark …”) and because Golden Temple had experience selling the goods. The plan was that the Administrative Trust would sell its share of the mark to Golden Temple for $9.7 million. To the extent Bibiji is claiming that the Trustees’ interim licensing agreement with Golden Temple … somehow negatively impacted her half interest in the Yogi trademarks, the district court viewed the relationship between the parties regarding the trademarks as co-owners. We observe that because Bibiji and the Administrative Trust each owned a one-half interest in the trademarks, this contention of negative impact on Bibiji’s trademark interest is in the nature of a claim of trademark infringement by one co-owner against the other, not a claim of breach of fiduciary duty in the trust context. Since the only claims Bibiji asserted against the Trustees were claims of breach of fiduciary duty, these infringement claims seem to be misplaced. Nonetheless, because the parties litigated these claims without objection and because the district court decided them, we address them. To the extent Bibiji had any claim that the Trustees had any additional duty to her regarding the trademarks, the district court put that claim to rest when it found that “[t]he Trustees’ decision to enter into the [i]nterim [l]icensing [a]greement … with [Golden Temple] was fiscally sound and preserved the marks’ financial potential.” The district court explained that if the Trustees had not entered into the agreement, “[Golden Temple] would have been forced to re-brand, which would have greatly diminished, and potentially destroyed,” the potential financial value of the trademarks. These findings are supported by the evidence summarized above. Given the cost of the present litigation to the Administrative Trust, it made sense for the Trustees to preserve the value of the trademarks through the interim licensing agreement and the tolling agreement rather than to expend additional trust funds to pursue litigation against Golden Temple and [second licensee] Amalgamated. We therefore reject Bibiji’s claim that the district court erroneously failed to find that the Trustees mismanaged assets. To the extent that Bibiji is arguing that the Trustees failed to accurately inventory and distribute her half interest in the trademarks, the district court found that all of “Yogi Bhajan’s intellectual property interests were properly inventoried and, in accordance with the Living Trust’s 2004 amendment, 50 [percent] of Yogi Bhajan’s intellectual property was distributed to Bibiji.” The district court further found that the intellectual property interests that were the subject of the pre-death licensing agreements with Golden Temple and Amalgamated “were inventoried on the [estate tax return] Form 706 by the contracts themselves, and are specifically listed on the contract exhibits.” And the district court found that “all [intellectual property] interests to which Bibiji was entitled were properly and promptly distributed to her, most especially the [Golden Temple] and Amalgamated royalties interests intended to provide Bibiji a stable source of income.” These findings were supported by the evidence summarized above and in the preceding section of this Opinion. See? It’s all about the contracts and the revenue stream, not the underlying rights that were being licensed. There is also the huge mistake of lumping them all together as “intellectual property”; in the very beginning no one was even thinking there were trademarks, rather, it was all about Yogi Bhajan’s name and likeness, that is, his right of publicity. Had the New Mexico court thought about the trademark as a separate asset from Yogi Bhajan’s right of publicity, and both of those separate assets from the revenue stream derived from the contracts that licensed them together, it might have reached a conclusion that was more consistent with what a trademark is, a sole source identifier. But there was no discussion whatsoever of the brand significance of YOGI or YOGI TEA, what consumer expectation is, who monitors the quality of the goods, with whom the customers associate the brand, or any other signals about ownership. A trademark is an indivisible asset—you can’t have warring factions deciding what the quality of the goods and services are. So we now have two entities free to license the same trademark, which, if they do not cooperate, will be the end of it as a mark. There will be different goods with different trade dress and consumers will eventually come to think of “Yogi Tea” as just a kind of tea. What a mess. * And what a mess of a “license.” Everything—copyright, right of publicity, trademark, recipes, are all lumped together and none given appropriate treatment under their respective legal doctrines. With respect to trademark, there is not even a passing reference to quality control. Khalsa v. Puri, No. 32,600 (App. Ct. N.M. Nov. 19, 2014). Khalsa v. Puri, No. D-101-CV-2007-02431 (Dist. Ct. N.M. Oct. 16, 2012). Golden Temple of Oregon, LLC v. Puri, No. 3:11-cv-01358-HZ (D. Or. Aug. 7, 2013). Puri v. Golden Temple of Oregon, LLC, ASP No. 100614 (Arb. July 29, 2011). FYI, The Sikh religion hasn’t had a spiritual and religious leader for centuries. Yogi Bhajan was never “the” spiritual and religious leader of the Sikh religion in the United States. Yogi Bhajan introduced Kundalini Yoga to the United States and he was one of very many Sikh spiritual and religious leaders in the United States. He has many devotees, and holds a cult-like following, but I’d be surprised if it was more than 1% of the 1/2 million members of the USA Sikh community.